Previous in this series: Batman, Hardy Boys, Nancy Drew, and Tom Swift , Sherlock Holmes, and Encyclopedia Brown. When I was growing up, I didn’t get to see much of the classic Mason programs, as I’d usually be doing something else or watching something else when it aired in the afternoon on TBS. However, during prime time, Perry Mason mystery movies were regular prime time fare in our home. Raymond Burr made twenty-six Perry Mason movies between 1985-93 with Barbara Hale reprising her role a sDella Street. The first nine installments feature William Katt as Paul Drake, Jr. and the last seventeen starred William Moses as Ken Malansky. At the same time, with the success of the Perry Mason movies, a quite similar program launched by Fred Silverman, who produced the Mason movies. Television icon Andy Griffith playing the role of Ben Matlock, a wily defense attorney who, just like Mason, represented innocent clients and cleared them through spectacular courtroom showdowns where he revealed the true killer. 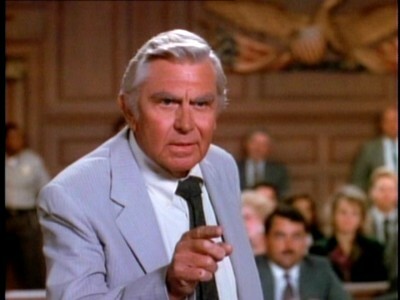 Of the two, Matlock was my clear favorite. Partly this was due to the fact that Matlock was a weekly affair while Perry Mason only aired once in a while. But more than that Griffith was simply more fun to watch. His character of Ben Matlock was not Sheriff Andy Taylor. He was charming, hot-headed, smart, and cheap. He loved hot dogs, and wore his trademark gray suit. In addition, Matlock had some fun guests from time to time including Don Knotts and Randy Travis. When it came to the dénouements where our lawyer heroes faced off with the murderer, Burr was proficient and forceful as Mason, but Griffith’s storytelling ability made his final explanation of the case incredibly satisfying and fun. The show also featured better investigators in Tyler Hudson (Kene Holliday) and Conrad McMasters (Clarence Gilyard.) While Perry Mason mysteries were longer, which should have left time for more development, it often felt like the movies had to last two hours to the failures of the investigators particularly during the Paul Drake, Jr. era. Whether it was Mason or Matlock, I loved each series, with its mix of mystery and legal drama. They weren’t realistic portrayals of how courtrooms really operated. They were idealistic portrayals of the legal profession, of lawyers who always found themselves on the side of right and justice, and always got their clients off. Right nearly always won. Each episode was a quiet tribute to the American system of government. These type of shows inspired many people to enter the legal profession including Associate Supreme Court Justice Sonia Sotomayor. Such idealistic program had me even thinking about a career in the law when I was a teenager. However, by the mid-1990s, it became clear that such idealistic programming couldn’t survive. Court TV had become popular and Americans witnessed several people they believed guilty receive in trials such as the Menendez brothers case, the Rodney King trial, and finally the O.J. Simpson Case. New lawyers heroes tended to be more realistic with more morally ambiguous leads, with some almost being anti-heroes.such as Picket Fences’ Douglas Waumbaugh (Fyvush Finkel) who won eighty percent of his cases with no regard for the guilt, innocence, or sleaziness of his clients. 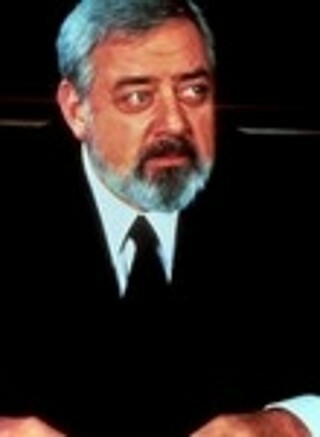 Raymond Burr, died in 1993, but the Perry Mason franchise continued to fill out contracts for the required movies with Paul Sorvino and Hal Holbrooke playing lawyers filling in for Perry in four more movies. Matlock was cancelled over NBC at the end of its sixth season, but it was given a second lease on life on ABC. Unfortunately, te ABC episodes were clearly inferior. One thing you could say for Perry Mason is that the show was established as a package deal with cast and crew developing major chemistry. Matlock’s creators seemed to believe they could do Matlock with any old set of supporting actors. It doesn’t. The final two seasons found Griffith with a poor supporting cast and weak writing. In addition, the show got away from its roots and seemed to be trying to keep up with modern lawyer shows. Ben’s divorced daughter defends a man for murder, falls in love with him, only to find out he’s guilty. One episode has a couple getting a divorce for the fun of it and hiring Ben to handle the case. Ben takes it reluctantly, though he makes it clear that prefers more pleasant matters such as solving a grisly triple murder. These plot drifts make the episodes seem like pale imitations of both the original Matlock as well as the lawyer shows that Matlock was trying to catch up with. Ben Matlock would have one last hurrah when Andy Griffith reprised the character for a two part episode of Diagnosis: Murder. This meant that Matlock had appeared on all three major networks as Diagnosis: Murder was on CBS. I still have fond memories of both shows. It may not be realistic, but with the talents of Andy Griffith and Raymond Burr, they painted a vivid portrait of the ideal lawyer hard at work and fighting for the innocent and justice.